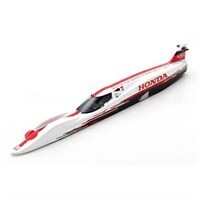 Bizarre 1:43 resin model of the Honda S-Dream Streamliner as driven by Hikaru Miyagi in the 2016 Land Speed Record. 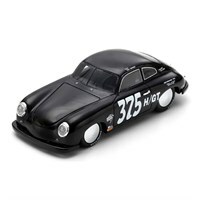 Bizarre 1:43 resin model of the Porsche 356 as driven by Paul Swanson in the 1997 Bonneville. Bizarre 1:43 resin model of the MG EX135 as driven by Alfred Gardner in the 1951 Bonneville. 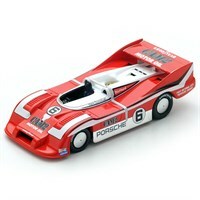 Bizzare 1:43 resin model of the #6 Porsche 917/30 as taken to a Closed Course Speed Record by Mark Donohue in 1975. 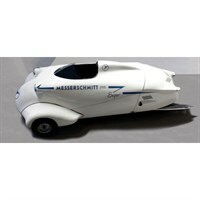 Bizarre 1:43 resin model of the Messerschmitt KR200 Super record car from 1955. 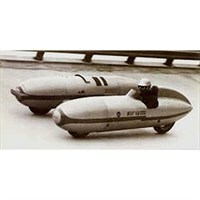 Bizarre 1:43 resin model of the Tarf 1 Gilera which Piero Taruffi used to break the Land Speed Record for Class E cars at Monza in 1956. 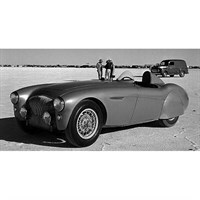 Bizarre 1:43 resin model of the Austin Healey which set a number of international and AMA speed records at Bonneville in 1953. 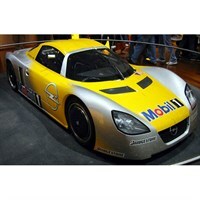 Bizarre 1:43 resin model of the Opel Eco Speedster which set a Diesel Land Speed Record in 2003. 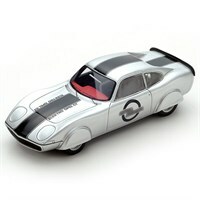 Bizarre 1:43 resin model of the Opel Electro GT which broke the Electric Land Speed Record in 1973. 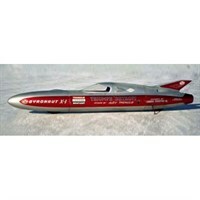 Bizarre 1:43 resin model of the Triumph Gyronaut X1 which Alex Tremulis took to a Land Speed Record of 245.667 mph at Bonneville in 1965. 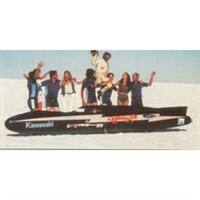 Bizarre 1:43 resin model of the Lightning Bolt which Don Vesco took to a Land Speed Record of 318.598 mph at Bonneville in 1978. 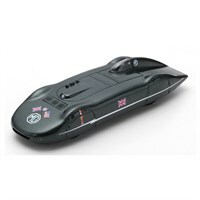 Bizarre 1:43 resin model of the Volkswagen ARVW which broke the Diesel Land Speed Record at Nardo in 1980. 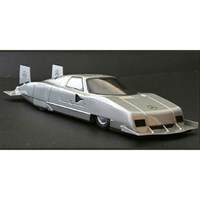 Bizarre 1:43 resin model of the 1979 Mercedes C111 IV which broke the track record at Nardo in 1979.